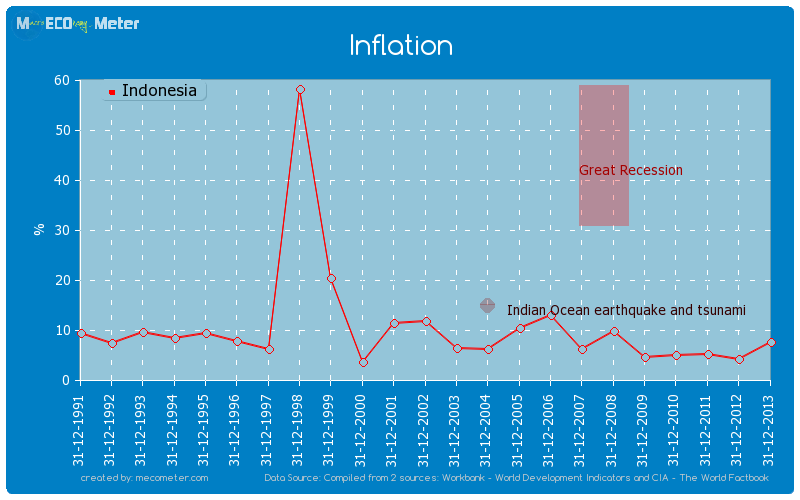 Value & RankThe Inflation of Indonesia is 7.70 (%) with a global rank of 31. 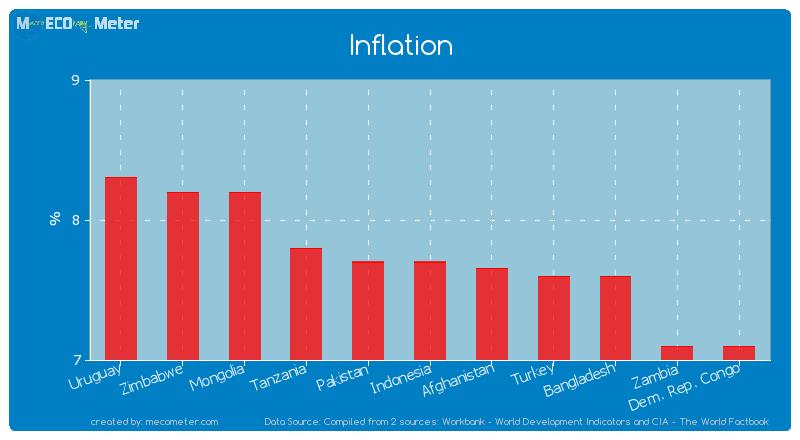 Indonesia compared to other CountriesThe Inflation of Indonesia is similar to that of Uruguay, Zimbabwe, Mongolia, Tanzania, Pakistan, Afghanistan, Turkey, Bangladesh, Zambia, Dem. 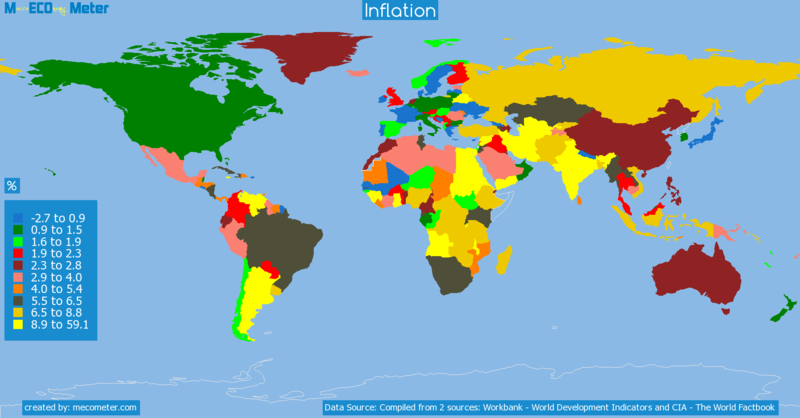 Rep. Congo with a respective Inflation of 8.30, 8.20, 8.20, 7.80, 7.70, 7.65, 7.60, 7.60, 7.10, 7.10 (%) and a global rank of 26, 27, 28, 29, 30, 32, 33, 34, 35, 36.Last 10 years averageIndonesia had an average Inflation of 7.26 (%) in the last 10 years from (2003 to 2013).